In the pretty village of Castell-estaó, in the municipal district of Capdella in the Fosca valley (Pallars Jussà), there is a small abandoned uranium mine called Eureka, where you can find good selection of very rare mineral types. Surroundings of the Mine, Vall Fosca. Have you ever heard of andersonite, čejkaite or natrozippeite? 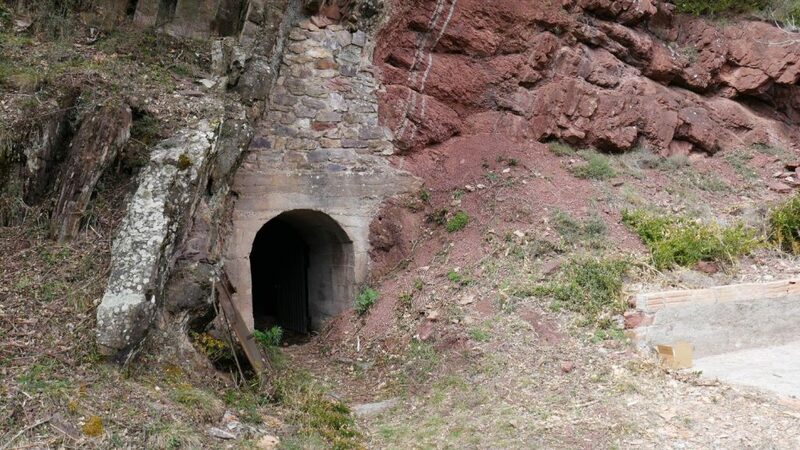 They are uranium-based minerals which, along with many others, can now be found in this old mine. There was an attempt to exploit the site during the Franco years in order to extract uranium and, in turn, to demonstrate the regime’s potential for developing nuclear technologies. Once mining activities were abandoned, after failing to extract large quantities of material, it turned out that the site provided the ideal conditions for unique and exceptional minerals to form. The one that stands out is Abellaite, which is the first new mineral species ever to be discovered in Catalonia. In other words, the Eureka mine is the “type locality” for abellaite, something that had never happened before for any of the known minerals that now number over 5,000. The abellaite holotype is displayed in the Museu Blau. 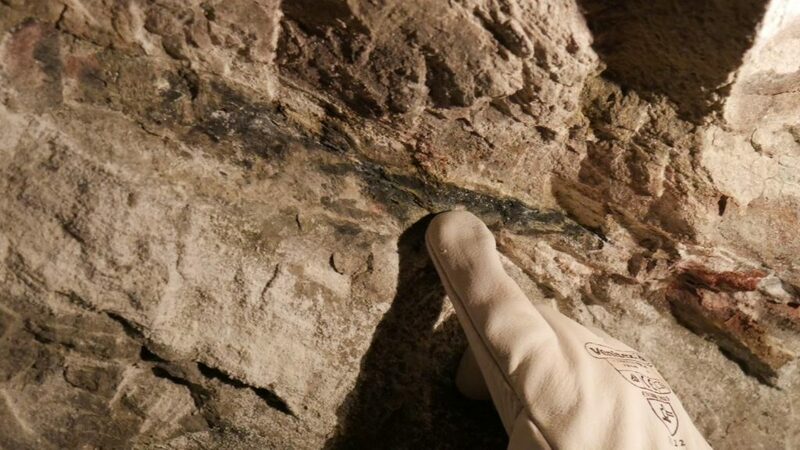 Finger indicating abellaite mineralisation on the walls of the mine. And what has all this got to do with the National Art Museum of Catalonia? At first sight, it would seem a little extravagant for the museum to get involved in the study of a new mineral, but it is easier to grasp if we say that the pigments or particles of the composition of a painting that provide its colour may originate from minerals. And that one of the tasks of the museum’s laboratory is to identify the pigments used by artists in their works and to discover their origins. To characterise abellaite and have it accepted as a new mineral species by the International Mineralogical Association (IMA), it must be subjected to numerous analyses to determine, among many other properties, the chemical formula of its crystalline structure. One of the most useful analytical techniques for characterising a mineral is infrared absorption spectroscopy which is difficult to employ when all we have are very small samples. 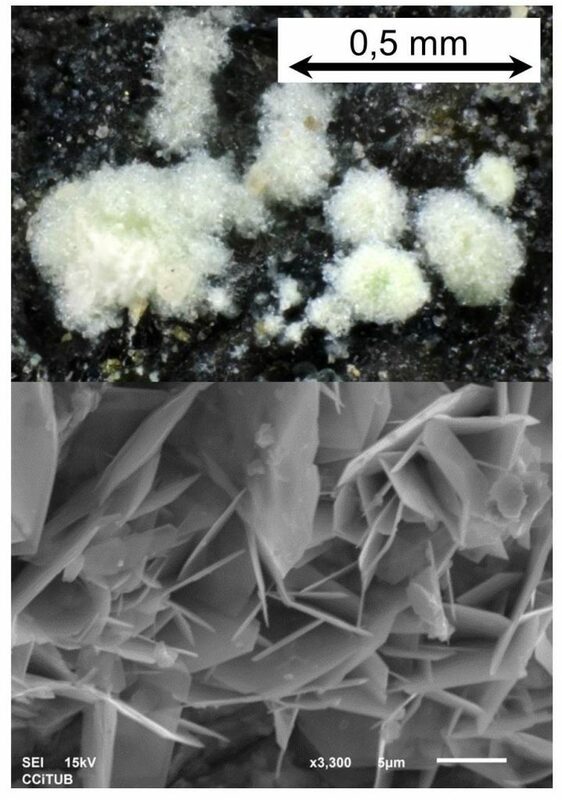 Aggregate of abellaite crystals and detail obtained using a tracking microscope at CCiTUB. Spanish National Research Council (CSIC) researchers at the Jaume Almera Institute of Earth Sciences who studied abellaite alongside researchers from the University of Barcelona (UB), had been collaborating with the museum for some time and so were aware of the possibilities available for the study of micro-samples in their laboratory. Bear in mind that the quantity of material that can be extracted from a work of art or from a sample of a rare mineral is, of necessity, minimal. This situation conditions the analytical methodology employed, which requires very careful handling of the samples and the application of microscopic analysis techniques. The standard procedures followed by the museum’s laboratory proved to be very suitable for studying the new mineral. The results obtained from the infrared spectroscopy were added to those from many other analytical techniques to establish that abellaite is a lead and sodium-based carbonate with the chemical formula NaPb2(CO3)2(OH). Curiously, this chemical compound is very similar to one of the most widely used pigments throughout the entire history of art: lead white. The pigment was traditionally obtained from the minerals cerussite or hydrocerussite (lead carbonate and basic lead carbonate respectively). Often, the pigment is a result of mixing both compounds. However, ever since ancient times, it was possible to obtain pigment artificially by treating lead sheeting with hot vinegar or urine, thus encouraging the oxidation of the metal and the formation of a white hydrocerussite powder. And it is no small coincidence what the museum’s preservers-restorers tell us: a place where lead-based white pigment is used extensively is on the Christ of Capdella, a Romanesque carving on polychromed wood from the second half of the 13th century, taken from the parish church of Sant Vicenç de Capdella (the Tower of Capdella). This pigment can be detected both in the white polychrome areas and also mixed with other pigments such as the reds to create the tonality of the carnations. In a parallel process, while they were deciphering the most basic properties of abellaite, the museum, responding to a request from the local council of Torre de Capdella, began a study of the Christ carving in order to create a reproduction of it. They took advantage of the circumstances to analyse the materials and restore the piece. From the samples extracted, it was possible to confirm the predominant presence of basic lead carbonate in its polychromy, chemically very similar to the new mineral abellaite, crystallised just a few kilometres further on from the original location of the Christ. For the moment, no abellaite has been found in the pigments of the Christ of Capdella, but that does not mean to say that we will not be able to locate this or any other exotic mineral in works produced and polychromed around the country. Therefore, further research is required! 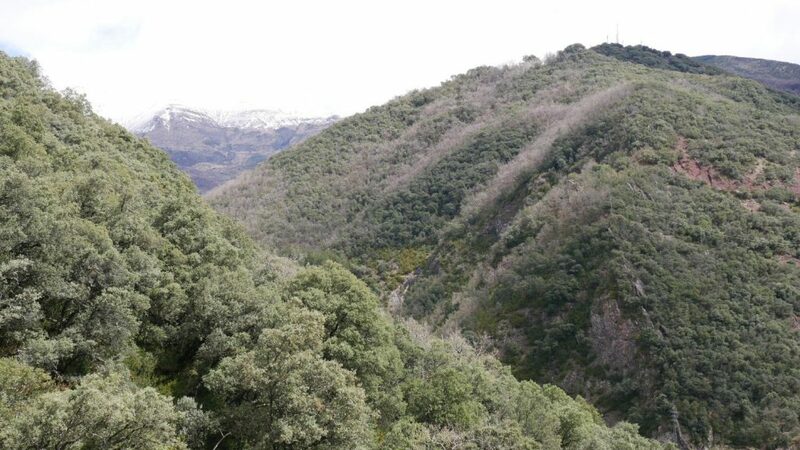 And if you are curious to learn more about this story and others related to this new mineral you can read The Mines of Castell: from Franco’s uranium to the discovery of abellaite. 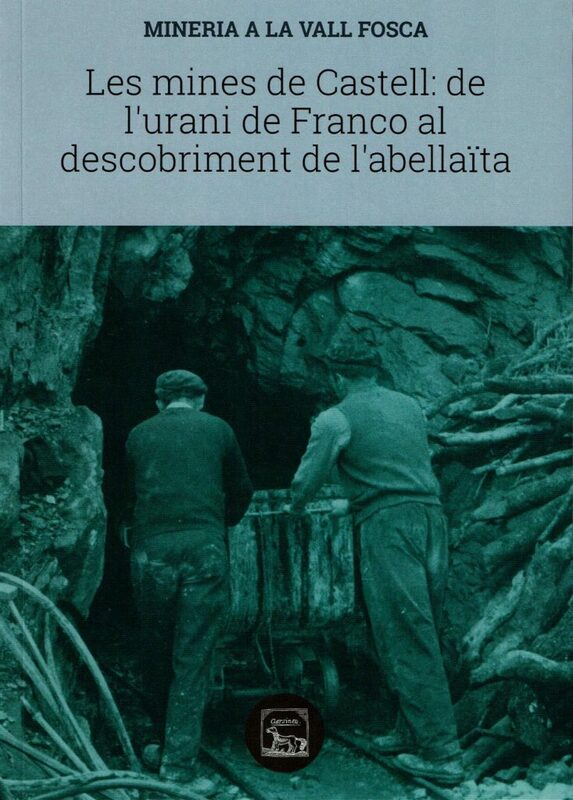 The Mines of Castell: from Franco’s uranium to the discovery of abellaite.